Looking For A New or Used Volvo Engine? Searching for Volvo engines for sale? Engine Finder will help you find an engine swiftly! The instant you give us a call or complete our online engine request form, your engine request will have transferred instantly onto a considerable group of Volvo junk yards, rebuilders, salvage yards and Volvo engine importers. Simply pick the specific car manufacturer enter your automobile details and complete the form. Additionally give us a call! Now simply chill out and wait the suitable quotes to reach you via email or telephone. Please be aware we really do not guarantee any of the suppliers’ engines, actions or services. 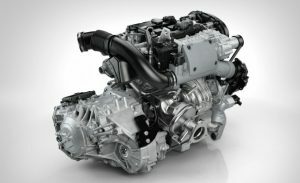 looking for a complete engine on a Volvo T4 V40, new or secondhand, 2016 year model, in the Pretoria area including the computer box. Thabo, 0662630953, looking for a Volvo T3 V40, sub-assembly or a complete engine, Germiston area, please. looking for a new or second-hand engine on a Volvo S80 D5 Twin Turbo 2013 year model, in the Johannesburg area. looking for a complete second hand or new engine for a 2 liter Volvo D3 Diatonic, 2011 year model, current engine number: D5204T31018026. 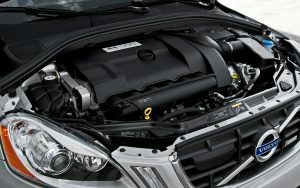 Looking for refurbished engine for Volvo XC60 2011 D3, Geartronic. looking for a Volvo S60T6 sub-assembly, 2013 upwards year model. looking for a complete engine for a Volvo S40 1.8, 2006 year model. Looking for a Volvo S40 T5 engine. Hi, I need a replacement engine for my Volvo 1.8i 2005 model, petrol. Please advise on where to get a complete one. I would appreciate if you can also give me a quote. I need a replacement engine for my Volvo V50 2.4i (B5244S4) engine. Please tell me where I can get a complete one, and for how much. I'm a SASSA pensioner, so I would greatly appreciate whatever discount you can offer me. I am looking for a turbo charger for 16v volvo s40. I am looking for a complete engine for a Volvo XE90, T6, 3lit, 2005 model. Hello, I am looking for volvo S40 engine. I am looking for a Volvo engine. I am urgently looking for the above mentioned xc70 2.4 5 cylinder petrol turbo engine which is affordable as soon as possible for my car . Looking for a complete rebuilt S60 engine. I am looking for a cylinder head for a Volvo S40, 2.5lit. Identified and considered as among the most highly valued automobile brand names, Volvo is different, attractive, sophisticated, comfortable as well as efficient. Essentially, Volvo stands as one of the best-selling auto brands on earth. However, Volvo is rather pricey and purchasing its spare parts will empty the wallet. As a result of elevated prices, many people may find themselves without the use of his or her car for extended periods of time whilst they save up the cash in order to make appropriate upkeep. This can lead to much more trouble as the car engine sits while not operating for an extended period of time. Although people are overwhelmed by the cost of restoring their Volvo, the truth is, you’ll be able to conclude these auto repairs at a cheaper cost than a lot of people realize. 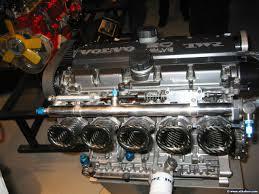 Various businesses in Johannesburg sell Volvo engines, so that you can be sure of find them. Having said that, you should take some time when picking these companies to ensure you are buying high quality spares that won’t bring on extra problems to the car. There are plenty of scrap yards that focus in providing used Volvo engines in South Africa and locating one is a simple undertaking. In spite of this, not every one of these types of scrap yard will be made similarly. Underneath you will understand more about a few of the points that you can think about before choosing the firm to get your replacement spares. • Reputation – A firm’s track record will confirm a great deal about whether or not these are a reputable supply of second-hand Volvo spare parts. If the company has been providing reliable second-hand engines about the area for quite some time, they will almost certainly be respected. You could always check out recent client commentary, reviews and testimonials to determine the degree of class to count on. Also you can check out authority assessment sites that position companies as outlined by their standing in reaching shopper wants. • Quality guarantee – Premium second-hand spares must always contain a quality guarantee. They should have provisions that allow you to exchange any component that doesn’t match the class standards. • Variety – The proper dealer will have a range of Volvo spares for different models. This gives you various alternatives to pick the parts of your preference. In some instances these engines are stripped from newer motor vehicles which have been taken from the road as a result of serious automobile accident. Additionally, these engines are salvaged from outdated model automobiles which simply aren’t highway worthy. In addition to the factors identified above, you may as well want to consider insurance protection, expense, installation services, and offered extended warranties when picking a Volvo spare parts scrap yard. Where are you able to discover the used Volvo engines for sale? The task of finding second hand Volvo parts in Johannesburg is relatively straightforward in particular now that probably the most highly regarded companies have expert web sites offering you with all the detailed information you require. It is simple to search for the nearest scrap yard to you. Make use of the best search engine to find the closest dealer and apply the earlier mentioned points to land the right dealer. After you use these elements, they are going to define your search, and you may be sure of picking the best Volvo trader. It’s always generally better to buy used Volvo parts from credible licensed motor spares stores that are permitted to operate in the neighborhood. This tends to enable you to get the best quality and conditions which permit you to claim reimbursements for engines that don’t satisfy your desires.